In addition to providing you with a fluent knowledge of the Spanish language, a degree in Spanish and Latin American Studies offers a multiplicity of practical applications ranging from business to broadcasting and from social work to diplomatic service. At the same time, it gives you a deep knowledge of and appreciation for Hispanic literatures and cultures. Learning a language helps us to better understand the medium in which we form and express our ideas and feelings; its literature speaks of the diversity of the human experience and helps shape a sense of who we are. Through the study of literature you will learn to use language, but you will also learn how language is used to construct a text. This powerful knowledge transfers into other disciplines. It enhances the engineer’s problem-solving skills and the politician’s rhetoric; it makes the advertising agent a more effective seller and the business leader a better communicator. Ultimately, as citizens, it makes us more aware consumers and better participants in democratic society. 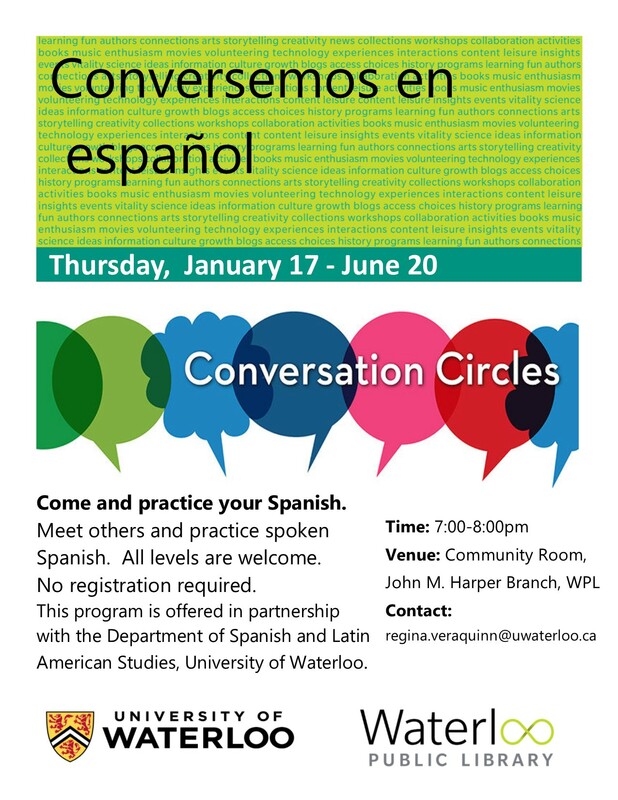 Come and practice your Spanish and meet others every Thursday, from January 17 to June 20. All levels are welcome and no registration required. Dr. María del Carmen Sillato joined the UW academic community in July 1992. She retired in October 2017.